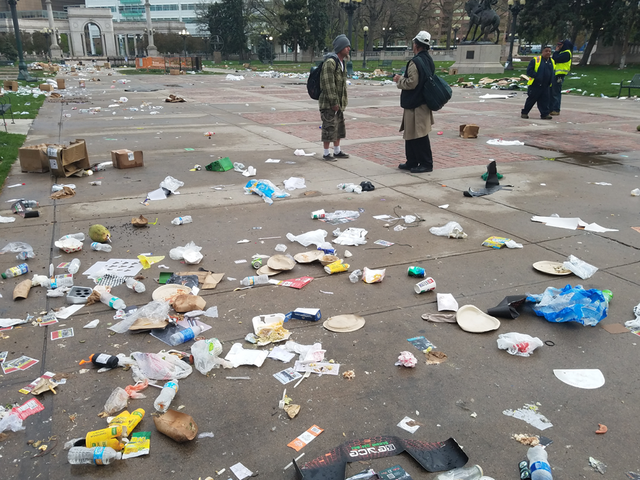 DENVER – Morning commuters passing by a downtown park were greeted with quite the mess Friday morning. Piles of trash littered Civic Center Park in downtown Denver after the 4/20 festival. Thousands of marijuana enthusiasts from across the state and countr y packed the park during the festival Thursday. The rally went until 8 p.m. Empty water bottles, uneaten festival food and other debris were littered along the sidewalks and the grassy area. Large piles of trash appeared to be ripped open and strewn across the southern area of the park near 14th Street. Organizers say volunteers put the trash in bags Thursday night. They had planned to remove the packed and sealed trash bags from the park the next morning. However, they suggested that someone, perhaps a homeless person, went around the park overnight and ripped open the bags of trash, searching for cans or food. “All the trash was bagged, and everything was consolidated into place. Once it didn’t get picked up probably between 2 a.m. and 4 a.m., I think we had a lot of people in the park kind of rip through and open up all the bags,” said event organizer Santino Walter. The permit for the festival extends into Friday, and event organizers are responsible for the cleanup. Volunteers were out cleaning up the mess late Friday morning. They had most of the park clear of debris by noon. 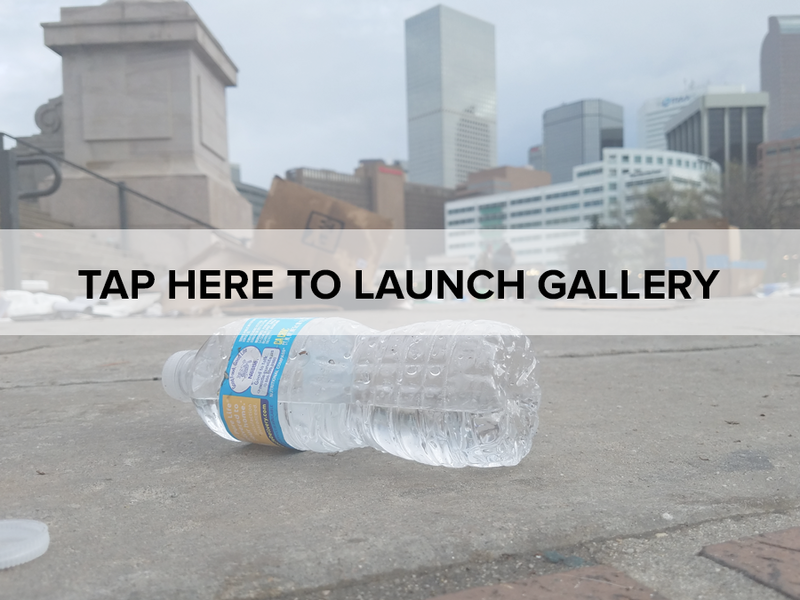 Take a look at the photos of all the trash that litters Civic Center Park in this gallery.